Spanish Institute. Spanish courses for groups in Spain. If you are looking for a Spanish course in Spain for yourself and your friends, Spanish Institute is the place for you! Learn Spanish and spend some unforgettable days with your friends, while you get to know the culture of an exceptional country like Spain. 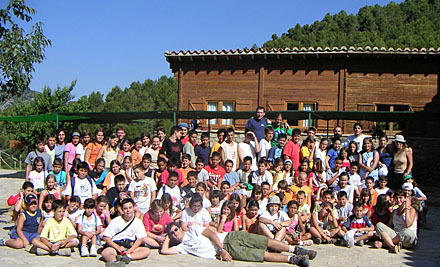 Have fun with the activities programs we have prepared for you all year round and take advantage of your stay in Spain. If you want to spend an exciting summer in Spain and meet people from all over the world, ask us for our special programmes adapted to your personal preferences! Spanish Institute has been preparing special programmes for universities groups , secondary schools and academies for around 8 years now. Our experience and the satisfaction of students and teachers guarantee the quality of our teaching. Moreover, Spanish Institute is the only Spanish school in the province acknowledged by the Spanish Ministry of Education and the University of Alcalá de Henares. Don't think twice and come to learn Spanish with us!! LET'S HAVE PICNIC AT THE BEACH!